CNN has uncovered exclusive new information about what is allegedly happening at the CIA, in the wake of the deadly Benghazi terror attack. Four Americans, including Ambassador Christopher Stevens, were killed in the assault by armed militants last September 11 in eastern Libya. Sources now tell CNN dozens of people working for the CIA were on the ground that night, and that the agency is going to great lengths to make sure whatever it was doing, remains a secret. 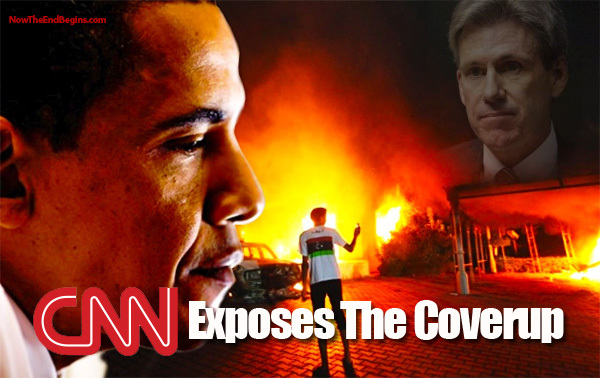 CNN has learned the CIA is involved in what one source calls an unprecedented attempt to keep the spy agency’s Benghazi secrets from ever leaking out. Since January, some CIA operatives involved in the agency’s missions in Libya, have been subjected to frequent, even monthly polygraph examinations, according to a source with deep inside knowledge of the agency’s workings. The goal of the questioning, according to sources, is to find out if anyone is talking to the media or Congress. It is being described as pure intimidation, with the threat that any unauthorized CIA employee who leaks information could face the end of his or her career. “Agency employees typically are polygraphed every three to four years. Never more than that,” said former CIA operative and CNN analyst Robert Baer. In other words, the rate of the kind of polygraphs alleged by sources is rare. “If somebody is being polygraphed every month, or every two months it’s called an issue polygraph, and that means that the polygraph division suspects something, or they’re looking for something, or they’re on a fishing expedition. But it’s absolutely not routine at all to be polygraphed monthly, or bi-monthly,” said Baer. CIA spokesman Dean Boyd asserted in a statement that the agency has been open with Congress. “The CIA has worked closely with its oversight committees to provide them with an extraordinary amount of information related to the attack on U.S. facilities in Benghazi,” the statement said. Among the many secrets still yet to be told about the Benghazi mission, is just how many Americans were there the night of the attack. A source now tells CNN that number was 35, with as many as seven wounded, some seriously. While it is still not known how many of them were CIA, a source tells CNN that 21 Americans were working in the building known as the annex, believed to be run by the agency. The lack of information and pressure to silence CIA operatives is disturbing to U.S. Rep. Frank Wolf, whose district includes CIA headquarters in Langley, Virginia. “I think it is a form of a cover-up, and I think it’s an attempt to push it under the rug, and I think the American people are feeling the same way,” said the Republican. “We should have the people who were on the scene come in, testify under oath, do it publicly, and lay it out. And there really isn’t any national security issue involved with regards to that,” he said. Wolf has repeatedly gone to the House floor, asking for a select committee to be set-up, a Watergate-style probe involving several intelligence committee investigators assigned to get to the bottom of the failures that took place in Benghazi, and find out just what the State Department and CIA were doing there. More than 150 fellow Republican members of Congress have signed his request, and just this week eight Republicans sent a letter to the new head of the FBI, James Comey, asking that he brief Congress within 30 days. In the aftermath of the attack, Wolf said he was contacted by people closely tied with CIA operatives and contractors who wanted to talk. Then suddenly, there was silence. “Initially they were not afraid to come forward. They wanted the opportunity, and they wanted to be subpoenaed, because if you’re subpoenaed, it sort of protects you, you’re forced to come before Congress. Now that’s all changed,” said Wolf. Lawmakers also want to about know the weapons in Libya, and what happened to them. It is clear that two U.S. agencies were operating in Benghazi, one was the State Department, and the other was the CIA. The State Department told CNN in an e-mail that it was only helping the new Libyan government destroy weapons deemed “damaged, aged or too unsafe retain,” and that it was not involved in any transfer of weapons to other countries.